Studying medicine in the US is extremely challenging, but if you have the passion and are willing put in the effort required, it is worth the hard work. After graduation, you will have the skills to help those in need, and make a real difference in people's lives. That in itself is worth the hours of hard work. Assuming you now have a bachelors degree and a good MCAT score, your next step is to actually apply. As an international student, you will, unfortunately, be at a disadvantage to local students. Many publicly funded colleges are required to put part or all of their state funds towards students who are residents of the school's state. This is mainly to ensure that there are enough doctors for the area, but it can put international students at a huge disadvantage in the selection process. You can always apply to private universities, but, of course, these will be more expensive. Each student will need to weigh the pros and cons of each choice that is available, and apply to the school that is right for him or her. 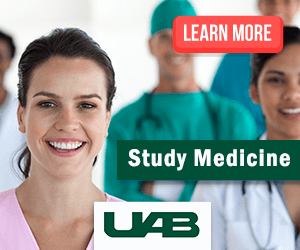 Visit the Study in the USA School search to find schools that offer programs of study in Medicine. Over time we will be updating this section and including more information for those who want to study medicine in the USA and for other countries, but please feel free to post your thoughts and comments on our Facebook fan page, and also follow us and post questions through Twitter.